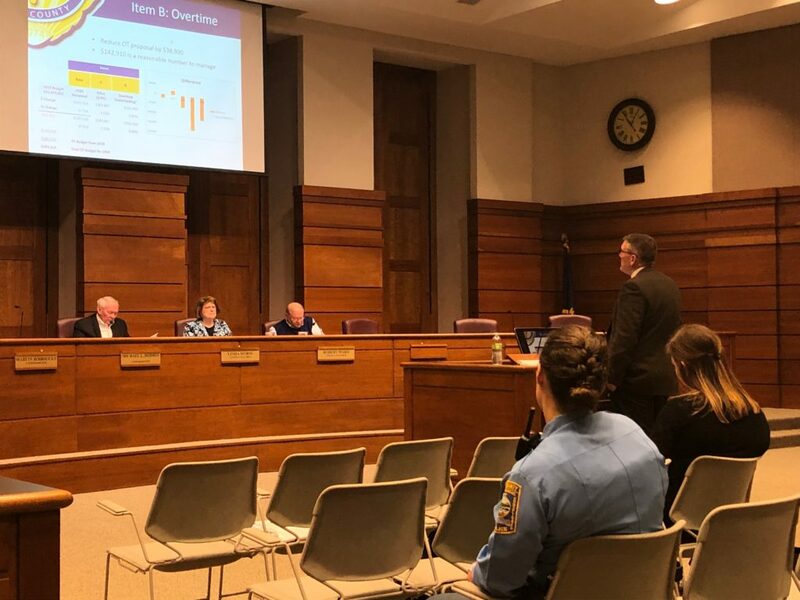 MANHATTAN — With budget talks continuing forward, an adjustment to spending requests was presented by the Riley County Police Department at Monday’s meeting of the Riley County Law Board. RCPD Director Dennis Butler says he was approached after last month’s initial budget proposal by Law Board Chair and Manhattan Mayor Mike Dodson to reduce the COLA from 1.9 to 1 percent. The adjusted proposal presented Monday cuts more than $93,000 from the budget requests, carving more than 36 thousand dollars in overtime and $40,000 from a proposed IT Reserve Fund request. Captain Josh Kyle says overtime was underfunded by about $118,000 last year. He discussed a “what if” scenario should the department challenge themselves to meeting its 2018 overtime budget in 2020. Director Butler gave some interesting insight from the 2019 budget which illustrates the point of just how underfunded those overtime funds have been. The revised budget proposal also subtracts $8,500 in legal fee requests and $6,260 in on-call pay requests. This adjusts the total dollars being requested from roughly $831,000 to $737,000. The Law Board must lock in personnel funds for next year’s budget by May 10. Personnel funds account for 85 percent of RCPD’s annual budget.